Are you looking for Christmas portrait photography or Christmas photo packages for yourself or your family? Maybe you have already tried having a Christmas portrait done in a park and had to dodge bicyclists, joggers, and barking dogs? Have you waited in line at the mall Christmas portrait photo kiosk and had an unpleasant experience? Are you ready for a more personalized, professional pleasant portrait studio experience? Innovative Images Photography by Robert Berger is located in the Westchase district of Houston. Robert Berger is an award winning photographer who will personally photograph you. Our Christmas portrait photography sessions are now reserving but very limited to how many we can do. Call for information and scheduling. A deposit is required to reserve your session. We can print your photo packages usually within a few hours or same day in 5×7 inch, 8×10 inch and wallet photo sizes. 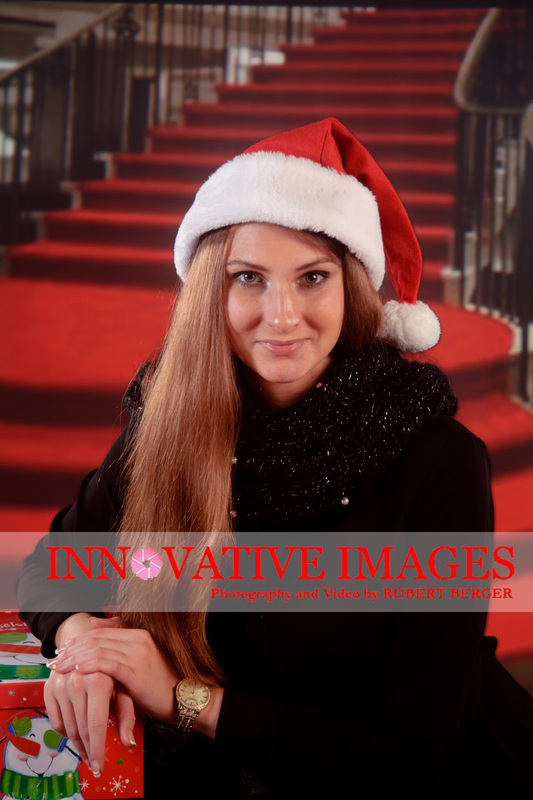 Our Houston Texas studio has unique holiday Christmas backgrounds so your Christmas portrait photography will look awesome. 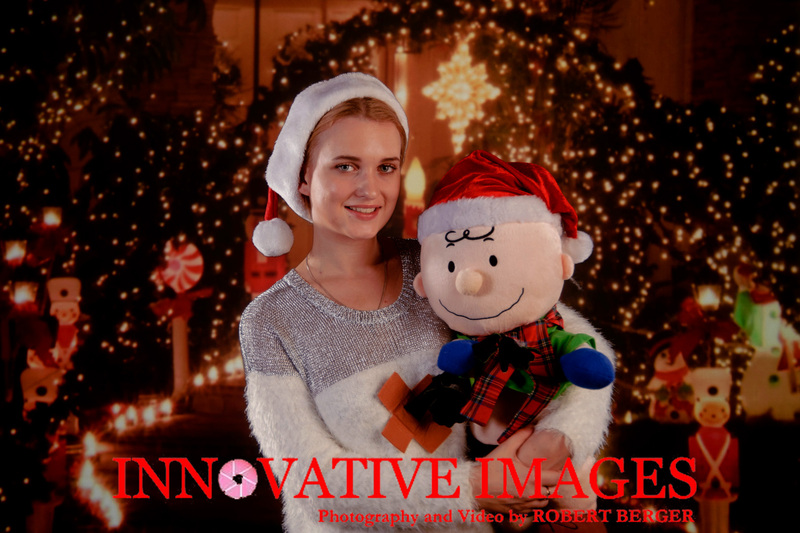 You must mention “Innovative Images Christmas portrait photography internet special” when you call for Christmas portrait photography studio information. We have certain restrictions and information that can be explained when you call. Appointments are absolutely required- no walk ins. We have to set up our lighting and photography equipment in advance so you may have the best portrait photography experience. Our unique backgrounds work well for one or two people (8 years old and older). 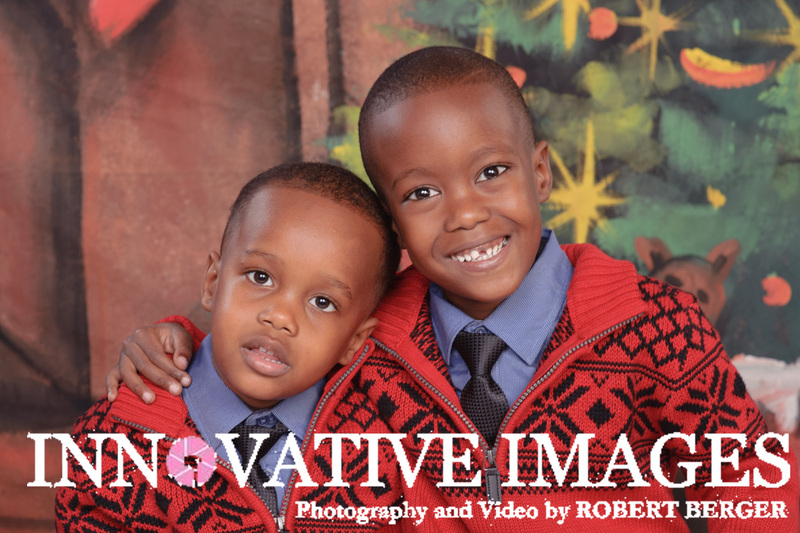 We have a standard Christmas portrait photography background for larger family groups. Christmas Family Portraits on location (in your home, in our photography studio, or outdoors) scheduling now. Prefer a non-seasonal background for your family portrait? We create artistic, timeless, heirloom family portraits too! These portrait rates are for our standard professionally printed and retouched finest portraiture. These sessions are not discounted due to the time and attention to details. These portraits last for generations! Christmas Portrait Packages- Same Day Prints Need last minute portraits before Christmas? Call for information. We still can photograph you or your children in time for Christmas! 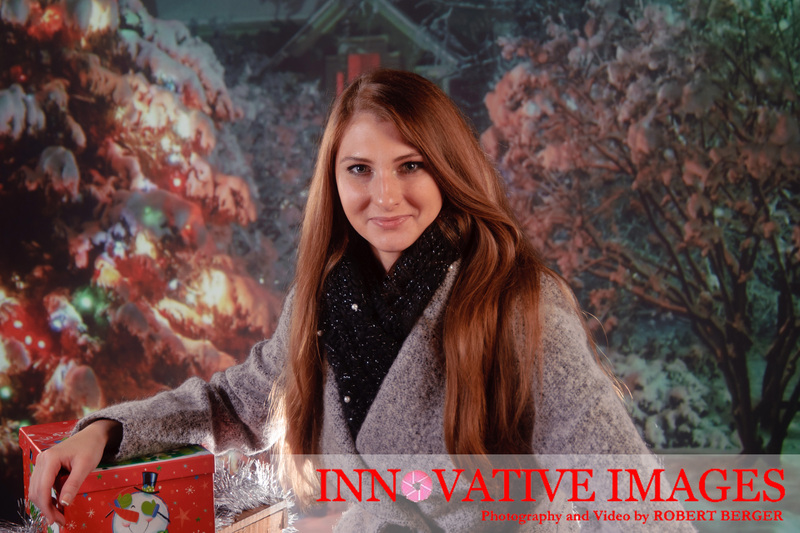 Christmas portrait studio photography Houston- fall leaves snow scenes anytime of year-many special portrait photography backgrounds to select from.